Today is my birthday, the day I was chosen to make a mark on this earth. I was made to be creative, unique and write a hell of a story. In a crowd, I will always stand out because I don’t look, dress or act like anyone you ever met before. I am multi-talented that is what I am blessed with. At forty-five, I came to the conclusion I’ve grown from the toughest battles, the losses and the pain that sears a hole in my heart. I defied the laws of what should have killed me. I became strong but in so many ways my leaves are torn and scars are everlasting. I am grateful to be alive but as always I want to live. I am honored to never back away from a fight regardless of the external and internal scars they may leave. In my training season, I want to choose me more. I want to bask in my own sun and glory. I play the background because for so long I became accustomed it is my position. When people ask what I want for my birthday, I want to grow from happiness, peace and no worry. I know all the downs I survived but that shouldn’t be the only definition of me. I like to think I am more than that. This rose named Tamyara bloomed from cracks in her foundation, being stepped on, copied and often forgotten. Now, I would like to smell the roses and feel the glory. I believed at one time to fight for my fairytale. 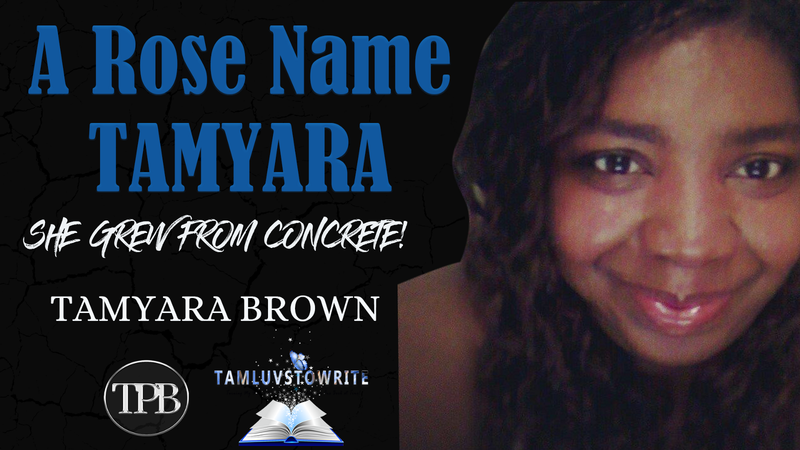 I finally retitled it, A rose name Tamyara she grew from concrete. As a child, my favorite books were Cinderella and all the Disney classics. I am chasing happy and seeking my groove. I’ve done things to make others happy, being the follower and always the tag along. I’ve lost what I want, what makes me tick because I’ve been too busy to either sit and think about my true desires. A woman told me three days ago through Facebook messenger, in fact, a stranger, Her words,“ I was on assignment to break the generational curse on my family. That I would win the war but some battles would be lost. Many wonder why I work so hard because I never want my friends or family to lose hope in their fairytale. I want my family and friends to have choices, to seek and not fear the ink drying before the happy ending. I don’t want them to write in pencil because they would have to erase their preferred choice of ending. I rewrote my story, retitled it because the end result seems far fetched but I want my children to believe in what they desire of the heart, mind, and soul. That is attainable and it doesn’t have to be recreated because of fears and doubts. As a writer, I see the world differently because roses can only dream in color. I’ve seen fairytales come true there is something magical that happens. I believe that with all my heart and soul. I want that for everyone in my and around my life. The fairytale of Tamyara was retitled, A rose Named Tamyara she grew from concrete. Today, I ask everyone reading this to not fall into the pattern of losing their fairytale. In my heart and soul though it is a badge of courage to win battles and wars. It leaves side effects, it changes you to forget your path. I am not just talking career or accolades. I am speaking about Love of your dreams, the belief that in the pursuit of happiness it will come true. People ask what I want for my birthday to find my happiness defined by me. That is a gift I cannot obtain from friends and family. I would like to restore my faith in God because it has become lost. What I wish for is that no one will lose so much they forget to believe regardless of the hardships. See, the makeup of a rose named, Tamyara she believes and goes hard for her family and friends because she sees the best and accepts the worse. For me, I know about the hard knocks of life. The kicks and letdowns but I beg of you to never retitle your story. That fairytales come true you simply have to believe. I want that for anyone who has lost hope. Why? because we all deserve love, peace, and happiness. We all deserve a happy ending.